The OGdash AFE Gadget allows you to quickly monitor status of all open AFEs. The display shows a color coded pie chart that groups AFE’s by their respective status. 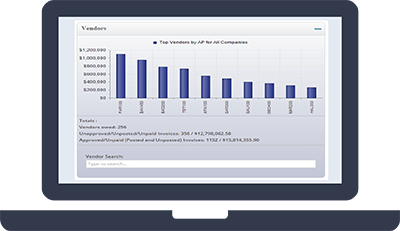 Users are able to click a chart section to drill down to a list of all AFE’s included in the status, and from there can further click to display individual transactions and budgets. The OGdash Vendor Gadget displays vendor balances, sorted by amount outstanding. 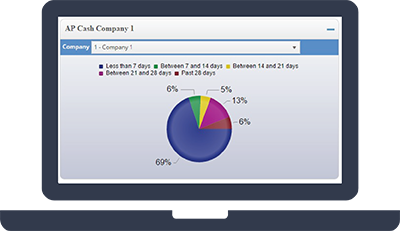 The drill down provides detailed vendor information, including current account balance, open invoices, a map location for the vendor, as well as a record of each well where the vendor has participated. A quick click on the email address is all that is necessary to send a follow up email to the vendor. The OGdash AP Cash Requirements Gadget allows users to more accurately predict cash needs in the upcoming time period. 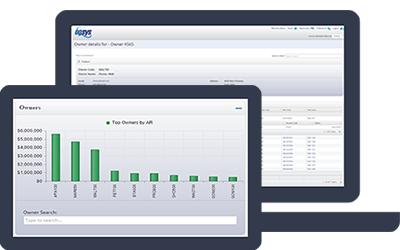 The drill down capability enables an up to the minute view of accounts payable aging with the added benefit of being able to see actual invoices and approvals in the system. 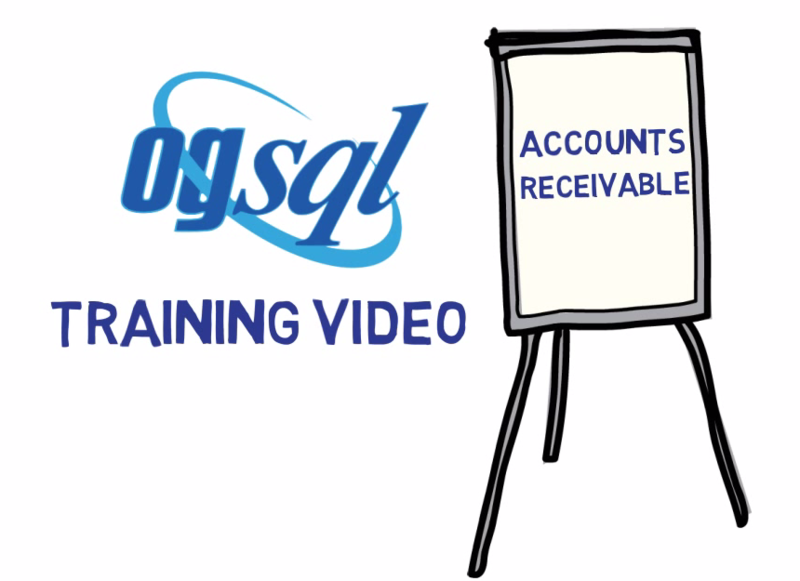 The OGdash Accounts Receivable Gadget shows receivable aging, grouped by aging dates, and allows you to drill down to problem accounts. The drill down screen displays detailed owner and invoice information. A quick click on the email address is all that is necessary to send a follow up email to the owner. The OGdash Accounts Payable Gadget shows payable aging, grouped by aging dates, and allows you to drill down to problem accounts, to the invoice level. 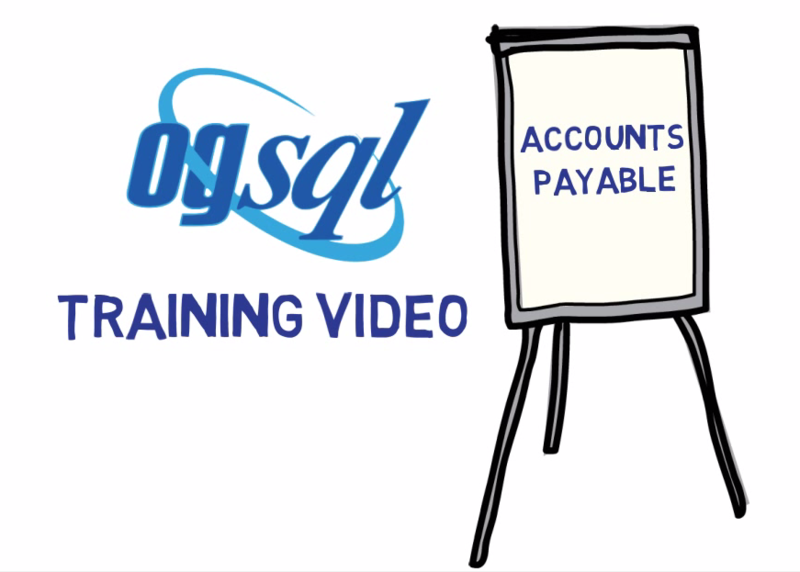 With instant account access, OGdash helps accelerate answers about payable questions. You can click down to the vendor level, with email and phone access from the gadget. The drill down screen also displays all wells associated with the vendor. The OGdash AFE Commitments Gadget allows a user to see their total commitment on an AFE. The commitments include not only the invoices received and posted, as with a normal AFE Report, but it also includes the unposted invoices, purchase orders, and field requisitions. 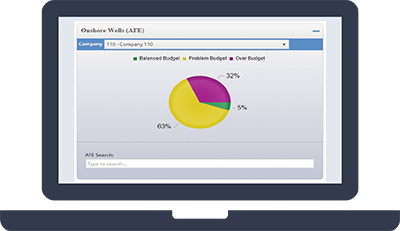 With this technology, your cost tracking ability is greatly enhanced. When including the daily drilling report expenditures, tracked in OGsql as a requisition, OGdash is able to provide an almost instant total cost for a project. The OGdash Owner Gadget provides owner information, including current account balances, with drill down capability. The gadget displays each well where the owner participates, with interest percentages. A quick click on the owner email or phone information begins an instant communication with the owner. 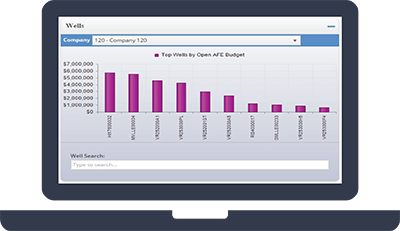 The OGdash Well Gadget provides instant information about company wells, sorted by open AFE amounts. The drill down displays active AFE status, vendors providing services, and owner participation interests for the selected well.